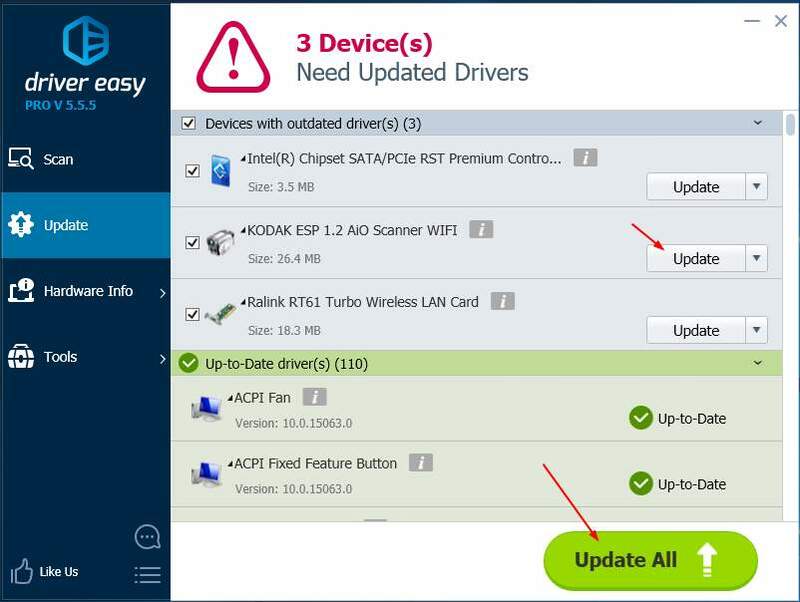 Use Driver Easy to install a WIA driver automatically. When you try to use your scanner on Windows operating system, unfortunately it’ not successful. Instead, you see an error saying You need a WIA driver to use this device. You might feel confused and don’t know how to solve this problem at all. Don’t worry. This is an exactly easy-to-solve problem. WIA, Windows Image Acquisition, is a Microsoft driver model from Windows ME onwards. A WIA driver enables the graphics software like Windows Scanner, Photoshop, to communicate with your imaging hardware like scanner. If a WIA driver is missing, old or incompatible on your computer, then you may probably get the error ‘You need a WIA driver to use this device’. Follow along the guide below to install a correct latest WIA driver for your scanner to solve the problem. You can choose to install your scanner WIA driver manually, which requires your time, patience and computer technique. Or alternatively, you can make use of Driver Easy to help you find and install the WIA driver automatically. 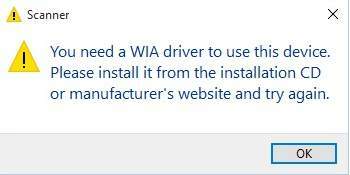 As the error message saying, you can install the WIA driver from the installation CD or manufacturer’s website. The installation CD is always coming together with your scanner when you bought it. Insert it into your computer and the follow the on-screen instructions. If you lose your CD, don’t worry. You can download the driver from your scanner manufacturer’s website, like HP,Canon, KODAK. 1) Go to the driver download page, usually it locates in the Support section of your scanner manufacturer’s website. 2) You need to enter your product model. Besides, you would be asked to select your Windows operating system. 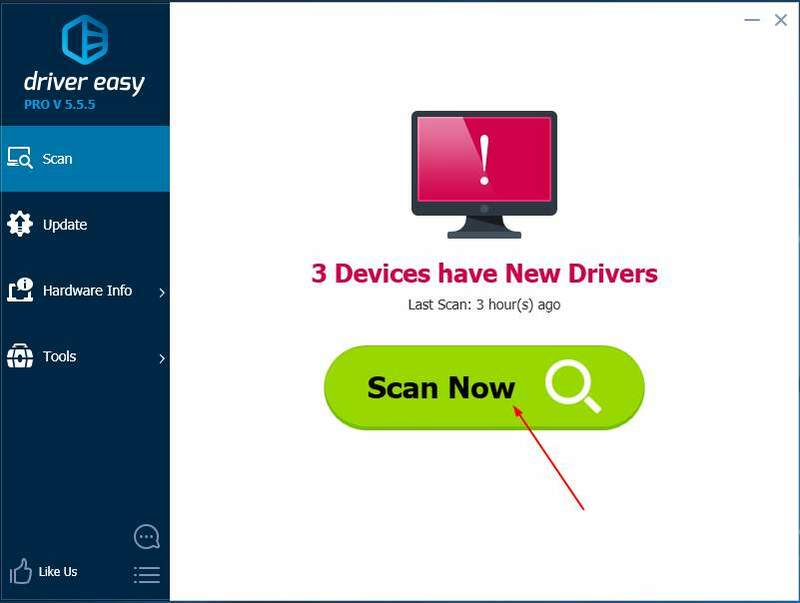 3) Download the scanner driver. 4) Reboot your Windows and try to scan your files to see if it succeeds. If you’re not confident with downloading or updating drivers manually, let Driver Easy help you do it automatically. With its help, you can say goodbye to driver headache and delays forever. 2) Click Scan Now. All drivers problems of your computer would be detected in less than 1 min. Your scanner driver is no exception. 3) If you try the Free version, click Update next to the scanner driver to automatically download and install the correct version of the driver.